Sending you warm wishes this holiday season. Thank you for a wonderful year… looking forward to 2015! You’ve likely noticed that, over time, a gradual but noticeable disconnect has occurred between consumers and farmers. People can get food production information from many sources, but there’s no better source for the truth about farming than farmers. In a survey conducted in 2013, 82 percent of South Dakota soybean farmers told us they believe it is very important for consumers to have a better understanding about today’s farming. We then asked South Dakota consumers about agriculture, and by far, their top concern is healthy food. 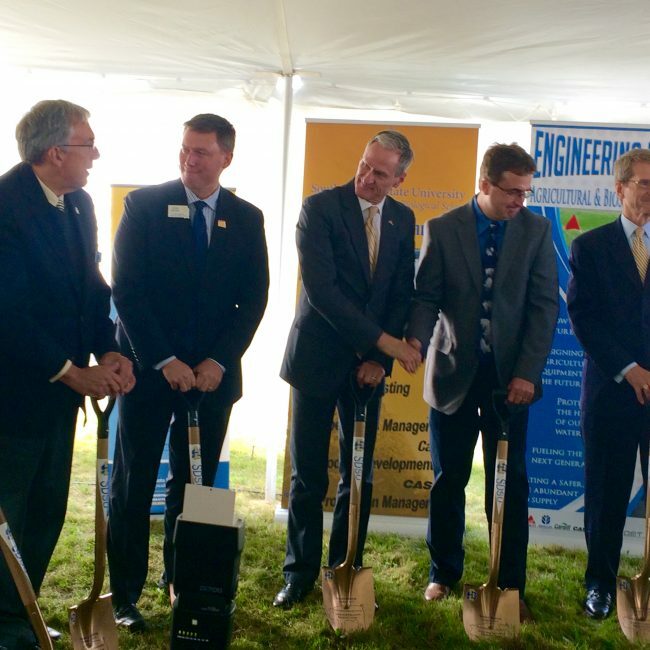 Their biggest concerns about food are the use of crop protection products and biotechnology. We support choice, and are thankful that both farmers and consumers have the opportunity to make the best choices for their farms and their families. 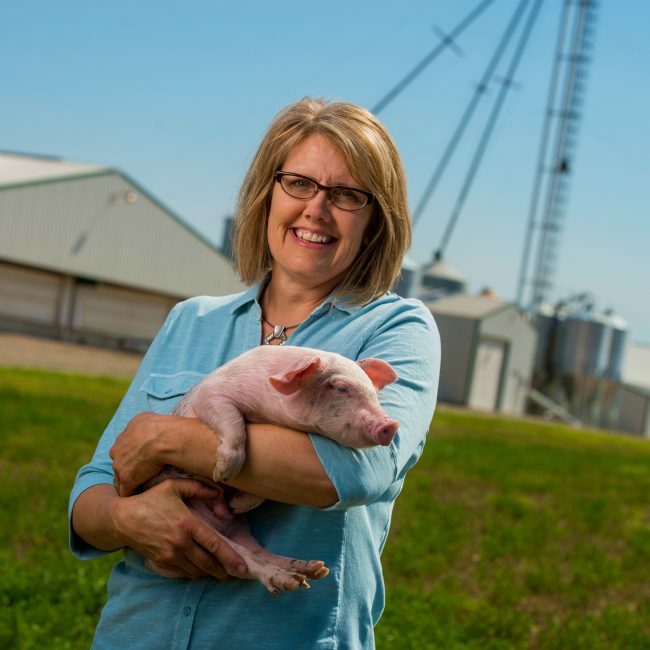 We firmly believe that the more South Dakotans know about how their food is grown and about the farmers who grow it, the better they can feel about its safety and quality. The South Dakota Soybean Association (SDSA) represents SDSA members, giving us all a strong voice in the formation of legislation and public policy. The organization is governed by a board of farmer-leaders who are elected by the members of SDSA. Our board includes directors from nine districts, plus at-large directors. 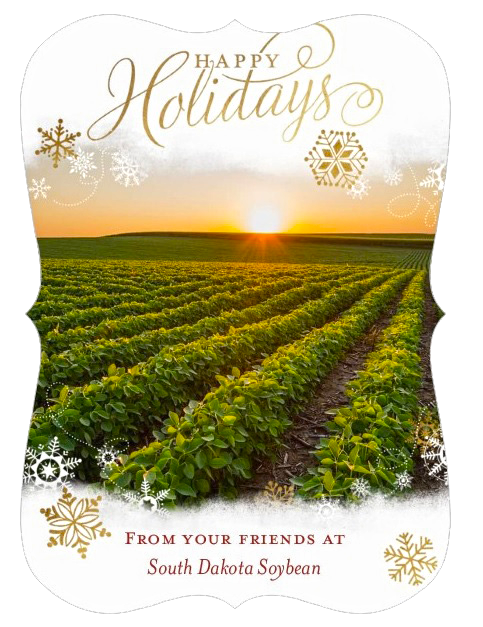 With the majority of South Dakota soybeans going to the export market, the thought of our beans leaving the U.S. has passed through our minds numerous times, but nothing compares to the true magnitude of experiencing the process for yourself in person. 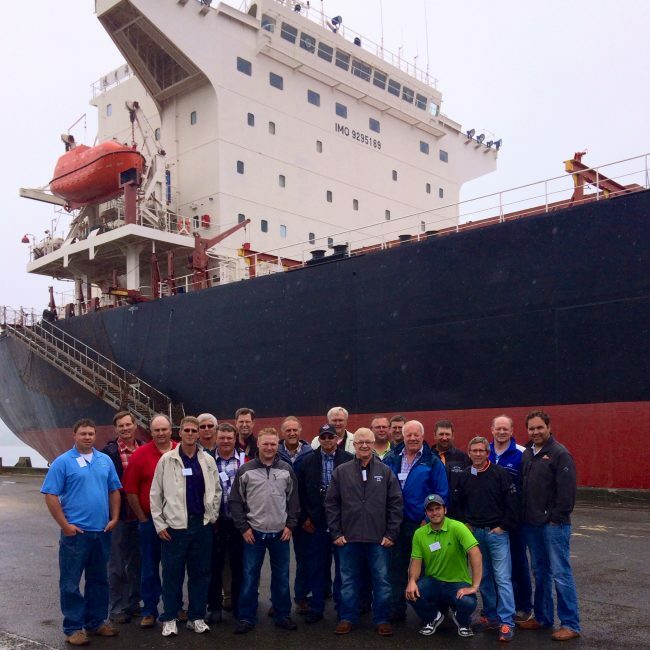 This January, you have the chance to be part of a group of South Dakota soybean farmers who will experience the journey soybeans make from the farm to international customers. This See For Yourself program takes place January 26-29, 2015, in Atlanta and New Orleans. These two locations will give farmers insight into soybean exports and the demands of international customers. Register now for the 10th Annual AgOutlook Conference & Tradeshow held on December 11, 2014 at the Ramkota Exhibit Hall in Sioux Falls, SD. AgOutlook is the tri-state region’s premiere agricultural conference and tradeshow. Speakers for this year’s event include grain marketing expert Arlan Suderman; ag futurist and thought leader Dr. Jay Lehr; and comedian Mark Mayfield. For the full agenda and to register, click here. 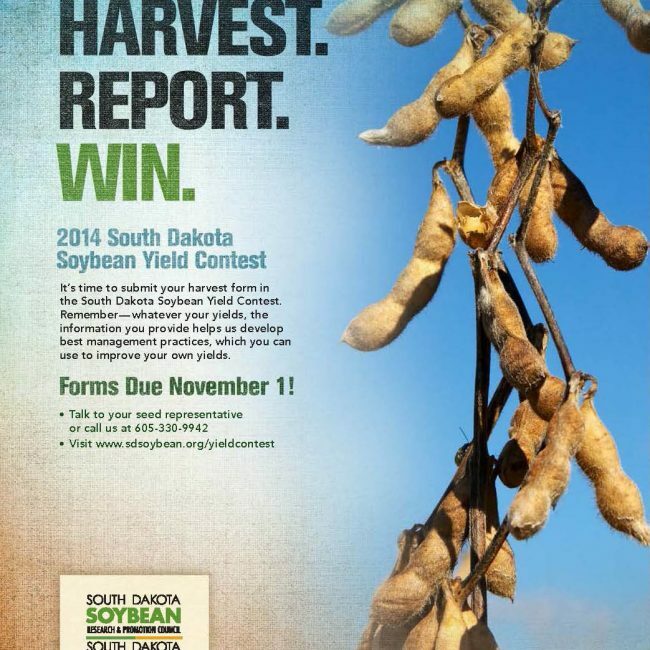 Submit your harvest form by November 1 for the South Dakota Soybean Yield Contest. You can submit your harvest form online here. Remember– whatever your yields, the information you provide helps us develop best management practices, which you can use to improve your own yields. Stay tuned for winning yields. Winners will be announced at the Soybean Recognition Banquet held on December 10, 2014. 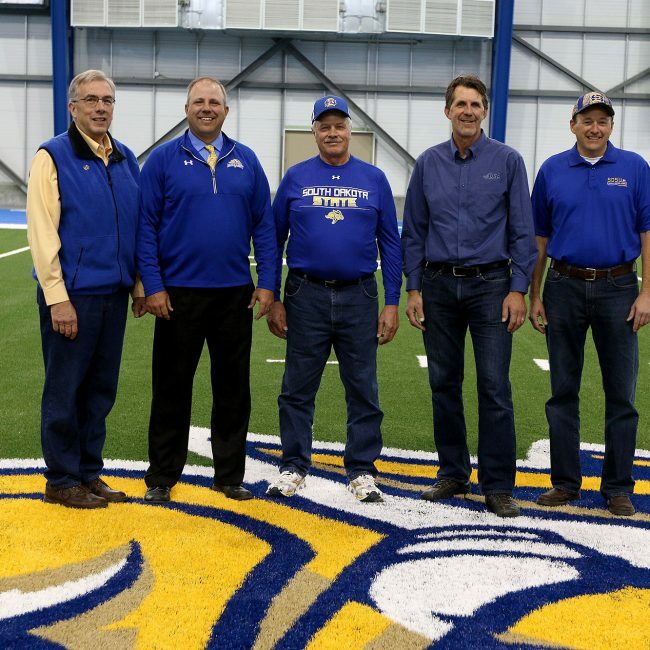 Last Saturday, Lewis Bainbridge parked his combine to attend the dedication ceremony for the new Sanford Jackrabbit Athletic Complex on the campus of South Dakota State University.